When the weather is perfect almost year round, it only makes sense to have an outdoor room to enjoy the sun. 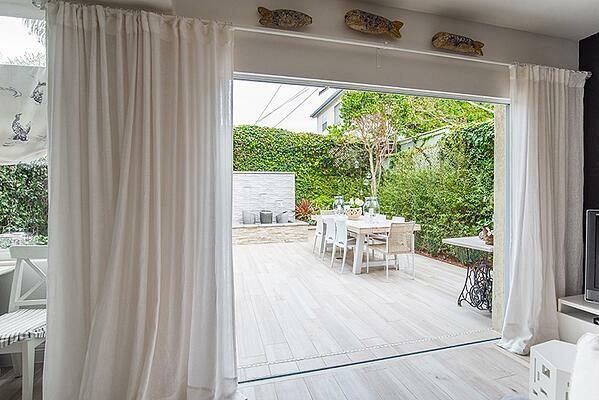 However, when you create a barrier between the outdoor room and the house, people are less likely to go outside. The solution is to form a seamless transition between the indoor and outdoor areas. 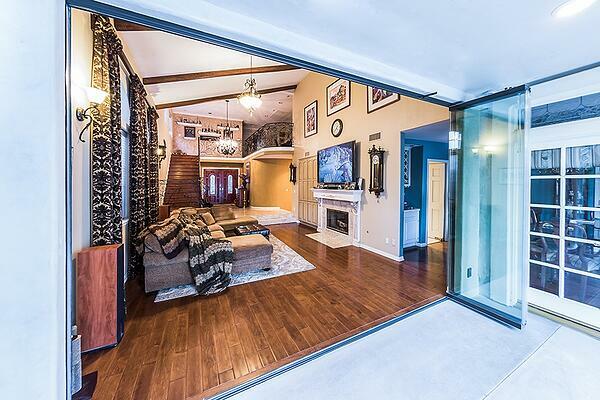 This is possible with a Cover Glass sliding door system, as in these homes. Just the fact that the glass can slide open and fold to the side changes the atmosphere in this home. The homeowners decided to keep the indoor living room separate from the outdoor grill area while still creating a connection. For instance, the flooring shows that the two areas are distinct, but both use wood paneling to maintain the same style. Plus, the tracks of the sliding glass doors are recessed to the level of the floor both inside and outside to enhance the sense of continuity. 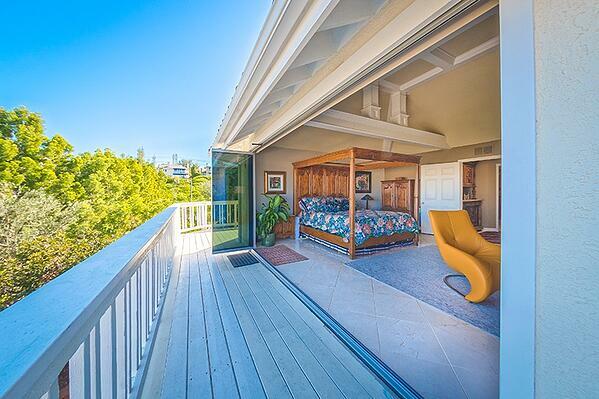 This extra room provides numerous possibilities. It is ideal for anything from entertaining to relaxing alone while still feeling connected to the house. The fact there is nothing to trip over makes moving between the spaces far more comfortable and convenient. Framed with flowing drapes, the opening to the outside becomes an extension of the inside. The recessed track only adds to the sense of expanse. Plus, with the tracks measuring just 1.75 inches in width by 2.25 inches in height, they are barely noticeable. It would be wasteful to not take advantage of this view — and the best way of all to appreciate the oceanfront is from outdoors. This home has two Cover Glass systems for greater versatility: a small opening and a large one. The tracks are of bronze (one of the standard colors) to match the decor, although the homeowners could have opted for a custom tone. The residents of this home can wake up and head straight outdoors to their balcony for a daily dose of fresh air and sunlight. To better match the style of the building, they opted to cover the top track in the sliding glass system. 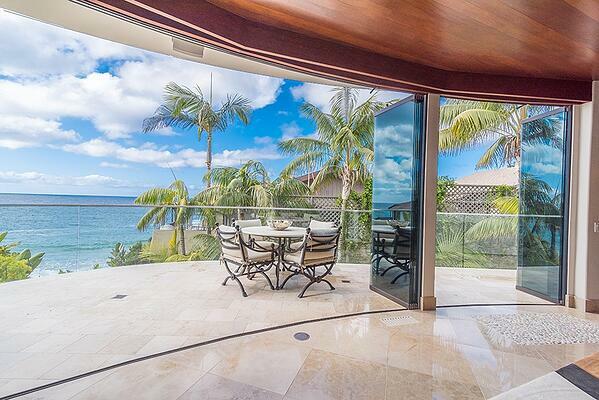 The sophistication of the interior is brought outside in this elegant patio. The area is covered, making it usable in any weather. Plus, if the homeowners decide to close the sliding doors against rain, there is no risk that water will be able to enter thanks to an effective drainage system. 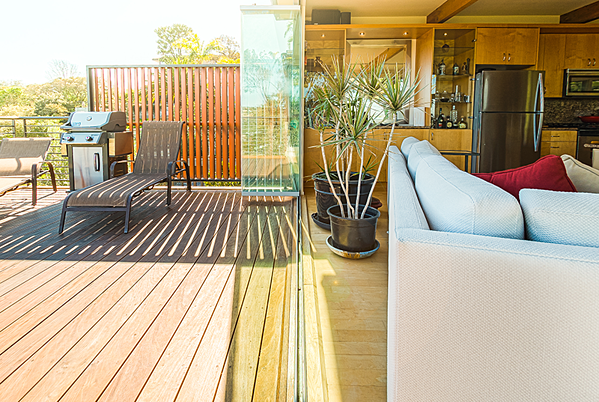 Whether your property has a balcony, deck, or full outdoor room, it is impossible to take full advantage of the space if it lacks the seamless connection of the above examples. 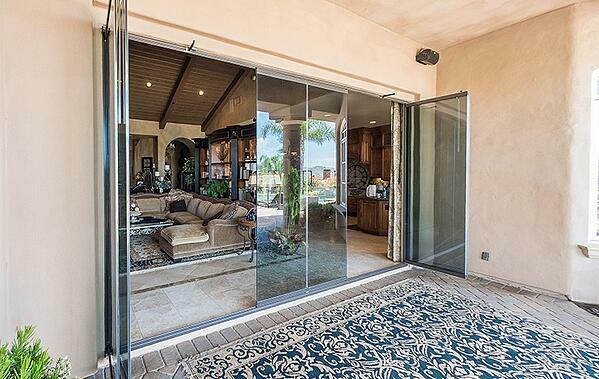 Want to more about the Features of our Folding Glass Door System?